I was diagnosed with cirrhosis (scarring of the liver) in September 2010. I was 68 years old. After a few unsuccessful treatments to help with esophageal varices and ammonia in the brain, I was put on the list for a liver transplant. There were no other options. I was losing weight. I kept getting worse, but my MELD (model for end stage liver disease) score was so low that I was just about last on the list. That’s when the option of a living donor came up. The doctor told me about a family member donating, but I avoided that because I have no siblings and I knew it would have to be one of my two sons. I didn’t want to do that, so I got very sick. But my son Joe, who was 48 at the time, decided to get checked for it anyway. He said he couldn’t live with himself if he didn’t do it. He wouldn’t be able to look in the mirror. After a month of testing, we learned he was a perfect match. He was thrilled to be able to save my life, and he got a lot of support from his family and people at his job. The surgery was scheduled two months after he got the OK, although it seemed like a much longer time. To prepare for surgery, my doctor told me to eat a lot of protein; he said I needed as much as I could get. I was in good shape, so I kept up with exercise and tried to be as healthy as I could. Whenever I was down, I got support from the pastor at my church. He would just call out of the blue to see if I was alright. That put me straight. God would make him OK. Right there and then, that gave me the support I needed. When my son went into surgery, it was very upsetting for me. Was he going to get through this and be OK? I wanted to live, of course, but my main concern was for him. It wasn’t until I knew he was OK that I was able to focus on myself getting better. I had to get better for him too. I was determined that he did this for a reason. It was tough, but it was a beautiful experience. We shared moments that a mother and son couldn’t have shared unless they did what we did. The nurses would bring us something to eat. It was just a great experience. The hospital was very good to us. I never expected to be in so much pain. Where they cut through in the belly, the pain was tremendous. For him, it was the same thing. Like a strained muscle, but 100 times worse. It was very tough, but it was short-lived. I was back home in three months, and my son was back to work in only three weeks. My son and I are now in the best shape of our lives. He lost 20 pounds for the surgery, but now he’s lost at least 40. He is doing very well. I can’t even explain how healthy I feel. I don’t feel like I’m 70… I feel like I’m 40! I have so much energy. I go for a walk every morning… I could walk all day. Even my diabetes has gone into remission; I was on insulin before the surgery. 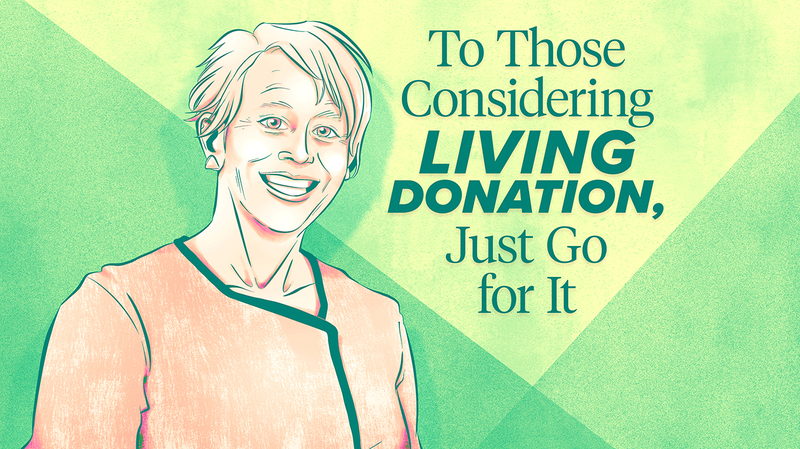 To those who are considering a liver transplant — just go for it. You’re going to be fine. Time is going to go on anyway, so you might as well feel better and improve your health. To those considering being a donor, I think there’s nothing better than being able to save someone’s life and make them well again. Here is your chance to do that. To my son Joe, you did the most amazing thing a son could do. I carried you for nine months, and I would carry you the rest of my life. I experienced a real-life miracle, and that is why I need to share my story. It’s not enough to say thank you for my life, and I have to help others make this tough decision by sharing my story. Patricia Hurley was born and raised in Charleroi, Pennsylvania. Her father was a steelworker and her mother a homemaker. Patricia was married in 1966 and raised her two sons, Joe and Pat, with her husband in their hometown. She received her beautician’s license from the Pittsburgh Beauty Academy and opened her own beauty shop in Speers, Pennsylvania. 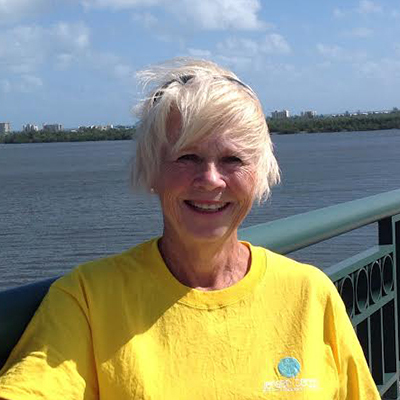 Patricia and her husband are now retired and spend the winter months in Jensen Beach, Florida.